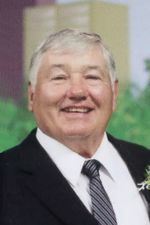 Mark A. Robins, 70, of Oakley, passed in his home January 2, 2019. Mark was born to Bert and Elizabeth (Schreiber) Robins on June 7, 1948 in Dodge City, Kansas. The family settled in Holcomb, Kansas where Mark graduated from high school. Mark was always active in sports in some way. He participated in sports in high school and college level. He played football at Ottawa University and was a four year letterman. His love was always for baseball and he was an avid Kansas City Royals and Chiefs fan. While at Ottawa University Mark met and married his wife Cicily ‘Cis’ Park and they were married 47 wonderful years. To this union three children were born Tanya, Lance, and Erin. Mark coached high school athletes for 31 years he was known by his athletes to be dedicated to their improvement on a daily basis. One athlete stated, “Mark played a huge part in making me the person that I am today.” Mark helped to train many successful athletes in football, basketball, and track. In 1998, he coached the Oakley boys track team to a second place finish at the Kansas High School State Track Meet. Mark’s children and grandchildren were his life! He enjoyed spending time with them and watching them participate in their sports and activities. Mark always enjoyed spending time with family around the holidays but he especially loved the Fourth of July! Mark was active in the United Methodist Church in Oakley Kansas. He was a youth leader with his wife Cis and served on various committees for the church. After retiring from teaching and coaching in 2002 you could always find Mark active in the community. His love was to be outside and he assisted his wife with their greenhouse and lawn care business. Mark was preceded in death by his parents Bert and Elizabeth Robins. Surviving are his wife Cis Robins; son Lance and wife Linda Robins; daughters Tanya Robins and Erin and husband Chris Notestein; eight grandchildren James, Jayden, Marcus, Tharron, Jenasea, Olivia, Elyn and Annissa; his brother Robin and wife Gail Robins; sisters, Annette and husband Bob Blecha and Janelle and husband Gene Gaede; brother in law Benjamin Park and family; sister in law Emy Jacobsen; seven nieces and nephews and many cousins. Mark will be dearly missed by all of his family.